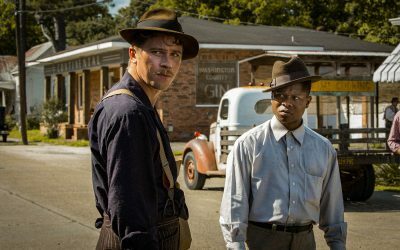 A small street in the small south Louisiana town of Lutcher showed up on the big screen at the Sundance Film Festival in Park City, Utah, transformed into a post-World War II setting for the film “Mudbound,” which premiered to high praise on Jan. 21. 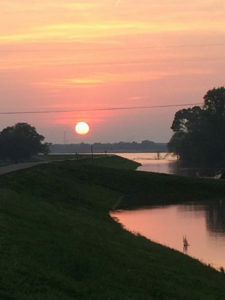 Land behind two neighboring St. James Parish plantations — Felicite and St. Joseph — provided the rural setting for the film directed by Dee Rees and based on the novel by Hillary Jordan about two families, one black and one white, both tied to the land in different ways in the years after the war. Wise Wolfe, the location manager for the film, said he began scouting for locations a year ago in St. James Parish — he has worked on other films there, including “Skeleton Key” and “Django” — and in another nearby parish. “What drew us to St. James was that the sugarcane farmer behind Felicite and St. Joseph plantations had some fields that were fallow,” ideal for the recreation of the film’s Mississippi cotton farm, where the main characters struggle to make a living, said Wolfe, of New Orleans. “My great-great-great-grandfather bought St. Joseph in 1877 and my great-grandfather bought Felicite in the 1890s,” Gilly said.